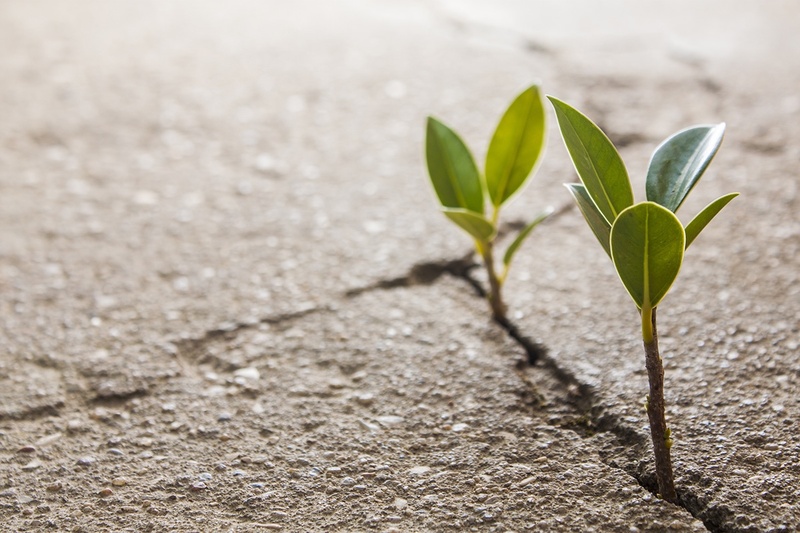 The ability of nanocellulose and cellulose fibrils to provide strength in different products has been discussed and studied for a long time. Cellulose fibrils are strong and lightweight and has large surface area which makes it an excellent candidate for strengthening aid. Some are referring to the composites containing cellulose fibrils as being “the next world-changing supermaterial” (Gizmodo, 2014), while others believe that they can be part of car production. So how is this actually working? Cellulose fibrils are basically highly fibrillated cellulose fibers which are entangled into a dense, three-dimensional network, as is shown in the figure below. These physical entanglements are crucial for the strength of the cellulose fibrils films. In addition, the fibers have very high surface area with many hydroxyl (OH) groups. These OH groups are able to form inter-fibrillar hydrogen bonding and contribute to the strength of the film. Thus, one can say that both physical and chemical forces are working to increase the strength attained from cellulose fibrils. These functionalities can be utilized in a various of products, from coatings and adhesives, to composites and concrete. To give you a concrete example of this, I am using the example of films made from cellulose fibrils. Cellulose fibrils network in microscopy at magnification (Exilva from Borregaard). Pure cellulose fibrils films are strong but also rather brittle. The flexibility can be improved by adding softening aids into the film. VTT (Technical Research Centre in Finland) has developed a continuous process for producing cellulose fibrils film. They can manufacture the film at semi-pilot scale and the technology is based on casting the film on a plastic substrate (patented technology WO2013060934 A2). They have also found out that adding sorbitol into the film makes it more flexible without sacrificing the other properties too much. 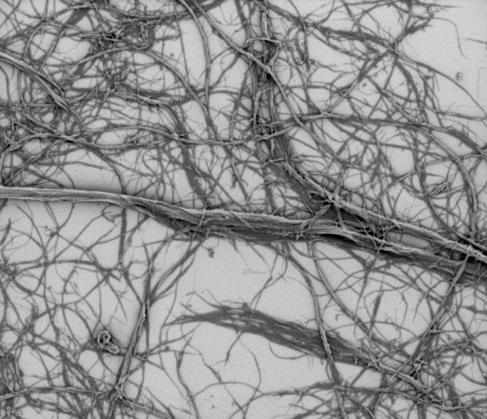 Cellulose fibrils films (Exilva by Borregaard) with sorbitol as a softener produced by VTT. 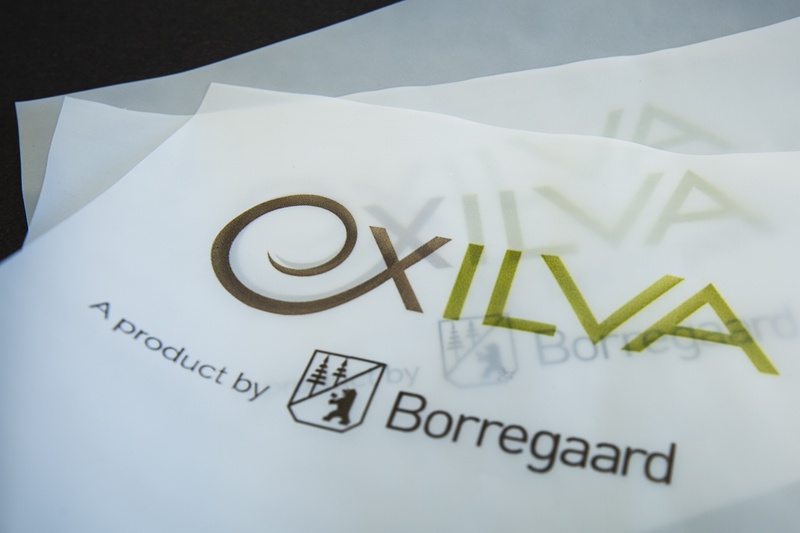 The picture above shows the cellulose fibrils film with 30% sorbitol produced by VTT from Borregaard’s Exilva product. Sorbitol improves the strain at break compared to pure cellulose fibrils whereas the tensile strength is reduced slightly. This kind of change is expected when a softener is added to a material. The tensile strength and modulus of the cellulose fibrils/sorbitol film are higher than typical plastics, high density polyethylene (HDPE) or polypropylene (PP). The results show that cellulose fibrils has potential to be used as a strength agent in composites or as reinforcing layer in multi-layer structure. All in all, cellulose fibrils is showing some very interesting reinforcement and strength functionalities that can be useful for several purposes. This may in the future give a high number of composite product opportunities. Certain challenges require more research, like poor compatibility of hydrophilic cellulose fibrils with non-polar matrices. In the meantime, polar systems can find great help in these performance additives as illustrated with anti-cracking effects in coatings , or as shown by the University of Maine in paper products. Who knows, perhaps cellulose fibrils can be the material enabling us to take new steps towards improved materials, with a much more sustainable environmental footprint in the future. Stay curious, and be the one who tests and finds out! Editor's note: This post was originally published in June 2017. We've revamped and updated it for accuracy and comprehensiveness.